Prashant is the Founder of Imaginally, a consulting services which handles clients and projects globally since 2012. He did his graduation in Business Administration from Wake Forest University and a joint Masters degree in Law and Business from the George Washington University. He worked as a Management Consultant in New York city for four years before starting his venture. 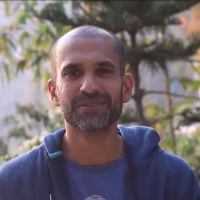 Since 2008, he has been travelling the world exploring human nature, new economy, social impact, organization development, and dharma while taking on freelance consulting assignments. A business consultant is a professional who works with clients on strategy, planning and problem solving, and helps clients develop business skills and knowledge. "I did a Bachelors and Masters in Business Administration from the USA. I worked as a Management Consultant for four years in New York city before starting my own venture, Imaginally, that handles clients and projects across the globe. Since 2012, I have been managing consulting projects on a freelance basis."